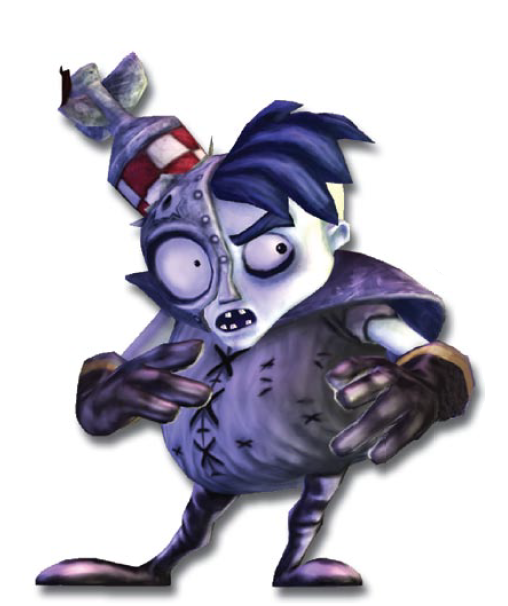 Dr. N Gin is a playable character in Crash Tag Team Racing. A reoccurring emotionally volatile antagonist in the Crash Bandicoot series, Dr. N Gin is portrayed in Crash Tag Team Racing as having a tendency to cross-dress (particularly in a pink ballerina outfit). At one point, Dr. N Gin complains about how he isn’t “pretty enough” and is extremely happy when Crash Bandicoot gifts him a pink tutu, lipstick, and ballerina slippers. N Gin further claims that the pink slippers give him “power”. Fans have discussed his characterization as a “transvestite”, and further speculated as to whether or not this coupled with his vocal hatred of women could imply that he is a gay man. This entry was posted in 2000s, Characters, Gay, Gay (implicit), Gender non-conforming, Playable Character, Queer Men on August 29, 2016 by Adrienne Shaw.